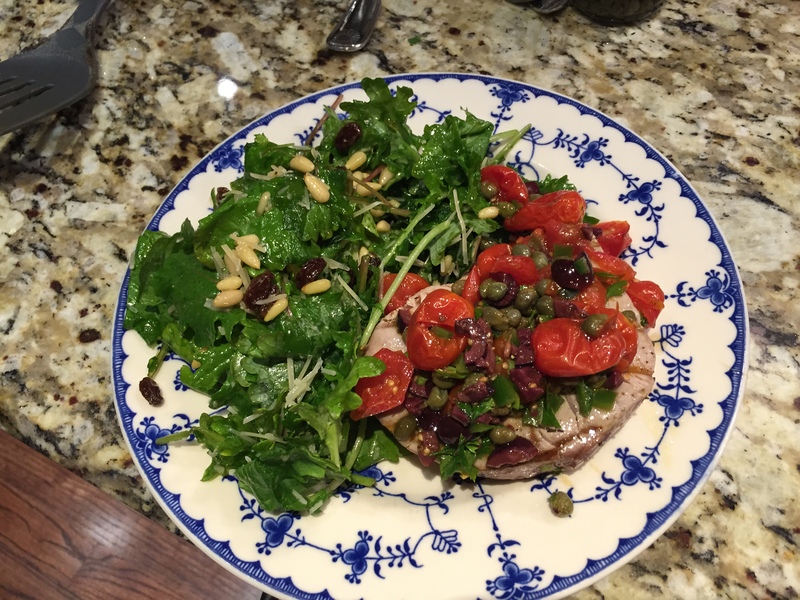 Tuna with tomato, caper and olive salsa | what are we having for dinner? 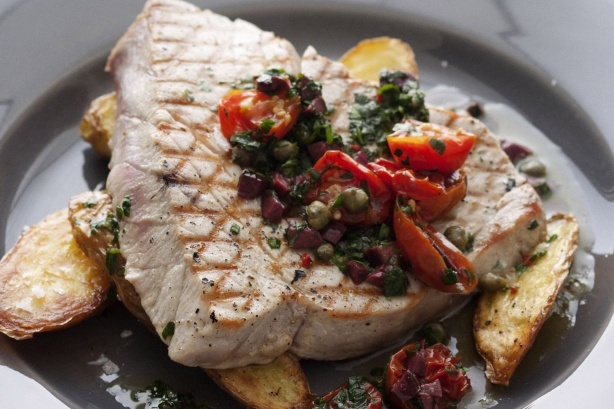 It’s time for a flavorful healthy meal tonight. 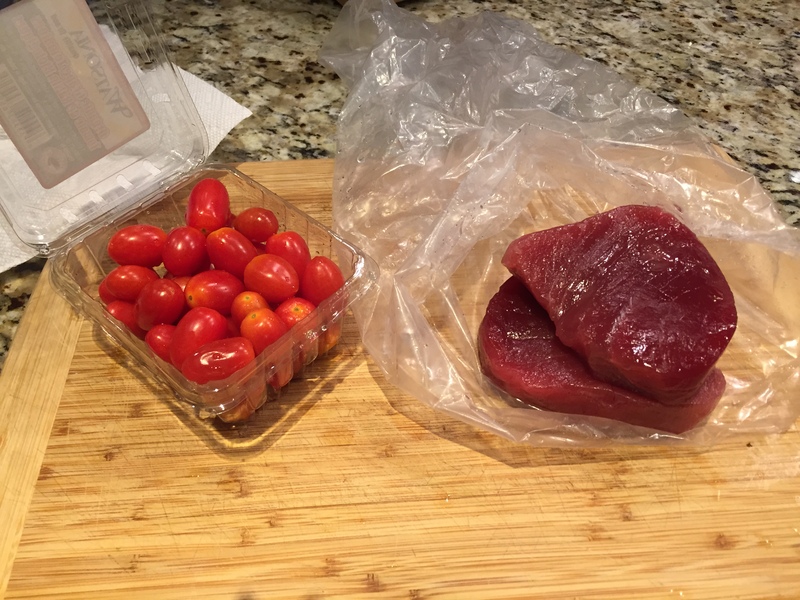 I spotted some amazing sushi grade tuna at Whole Foods and built the dinner around that. 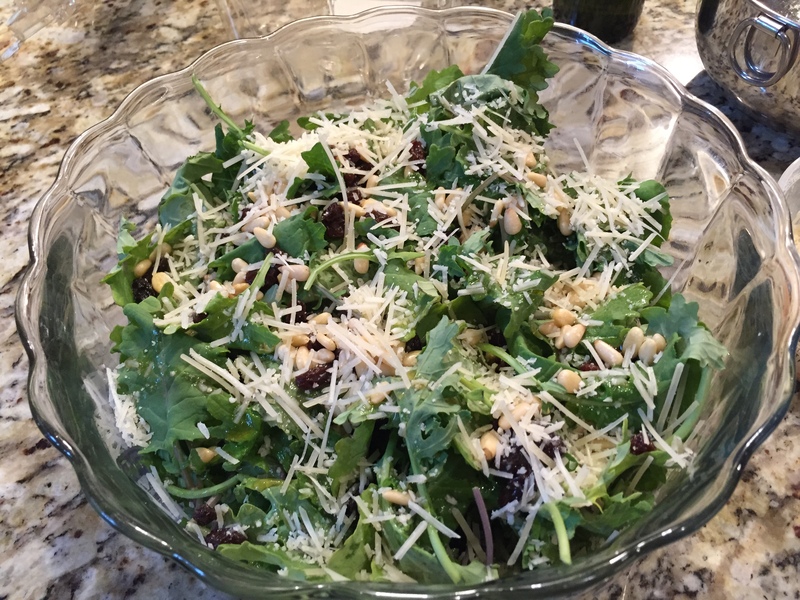 And this Kale Salad is delicious! The meal is colorful and very flavorful. Enjoy! Preheat oven to 250 degrees F, and line a baking tray with parchment paper. 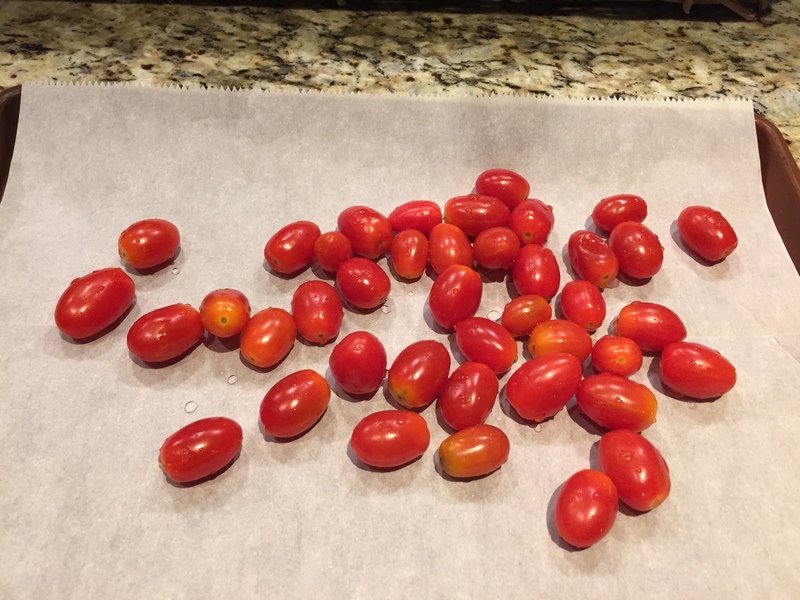 Place the tomatoes on the tray, and sprinkle with salt and pepper and roast for 1 – 1 1/2 hours or until wilted. Preheat grill to medium high. 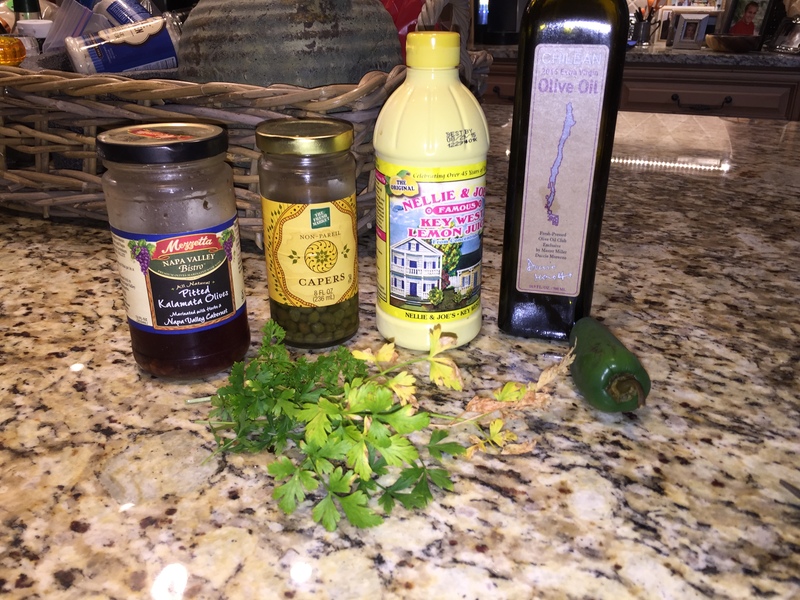 In a small bowl, whisk together lemon juice and olive oil to make a vinaigrette. Season with salt and pepper. 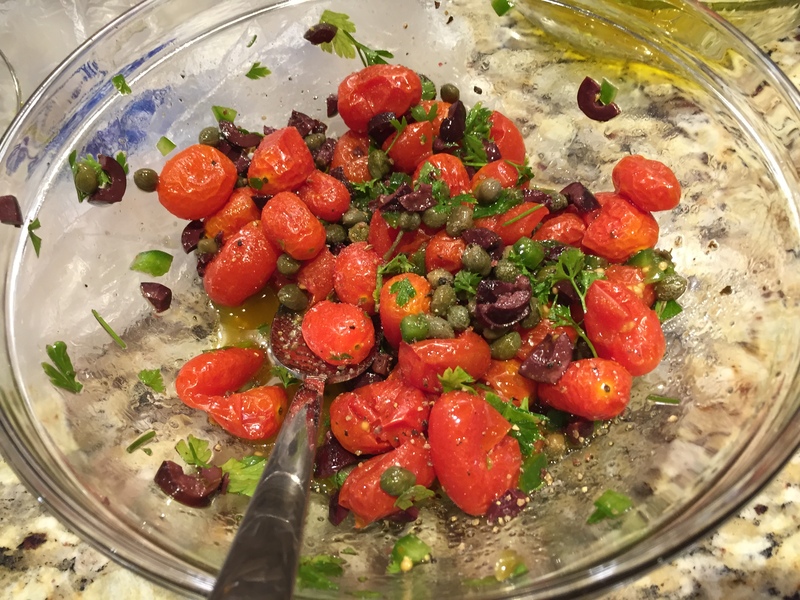 Combine the roasted tomatoes, olives, capers, pepper and parsley in a bowl. 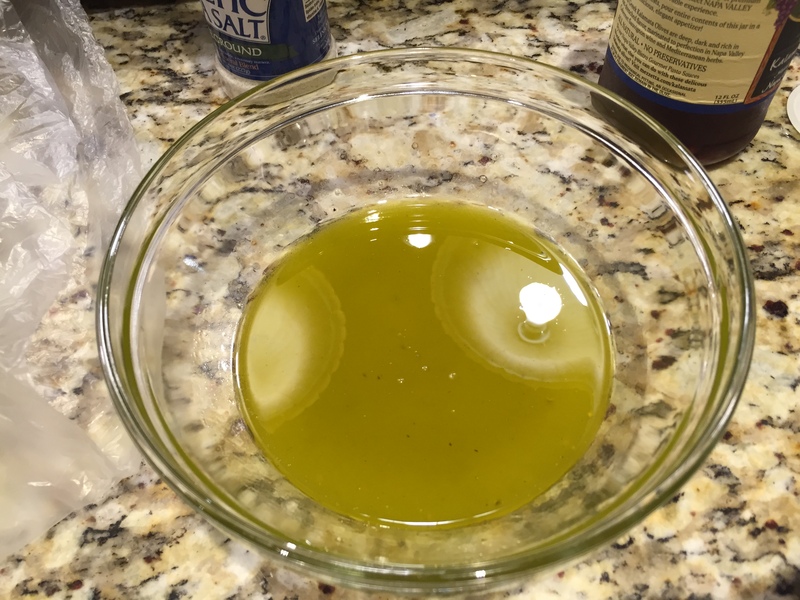 Gently toss with a little of the lemon vinaigrette to moisten. 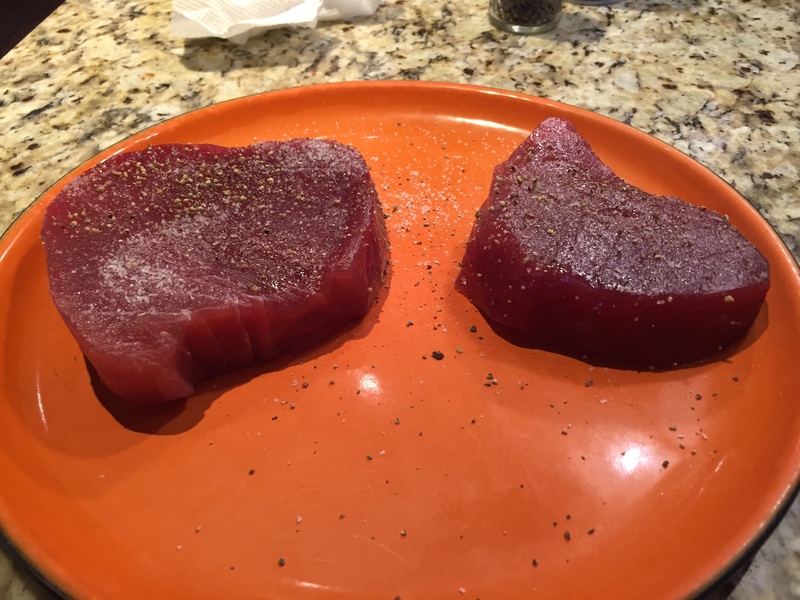 Drizzle the tuna with the vinaigrette and season. 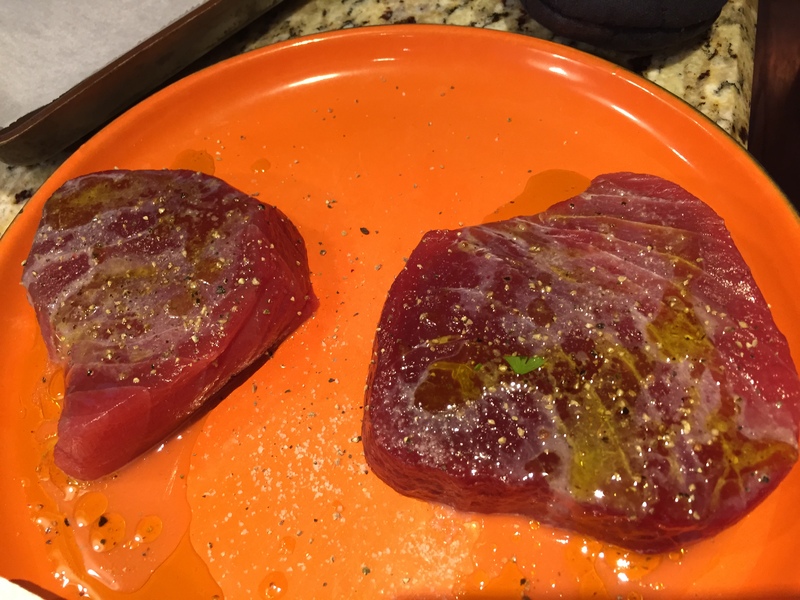 Cook the tuna on the grill for 1-2 minutes each side until cooked on the outside but still rare in the middle. Top with the tomato mixture and more vinaigrette if desired. 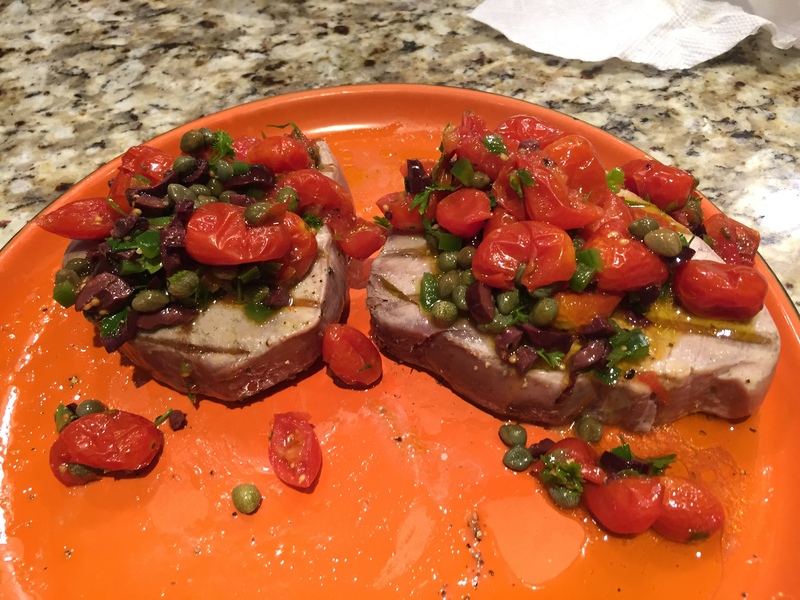 I found this recipe in my latest COASTAL LIVING magazine. 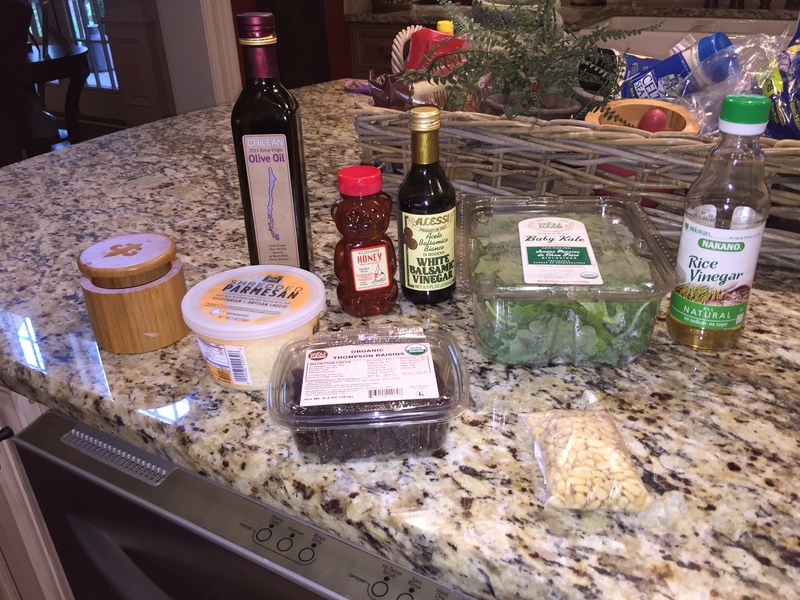 It’s a healthy addition to any meal, and for a kale salad it’s delicious! 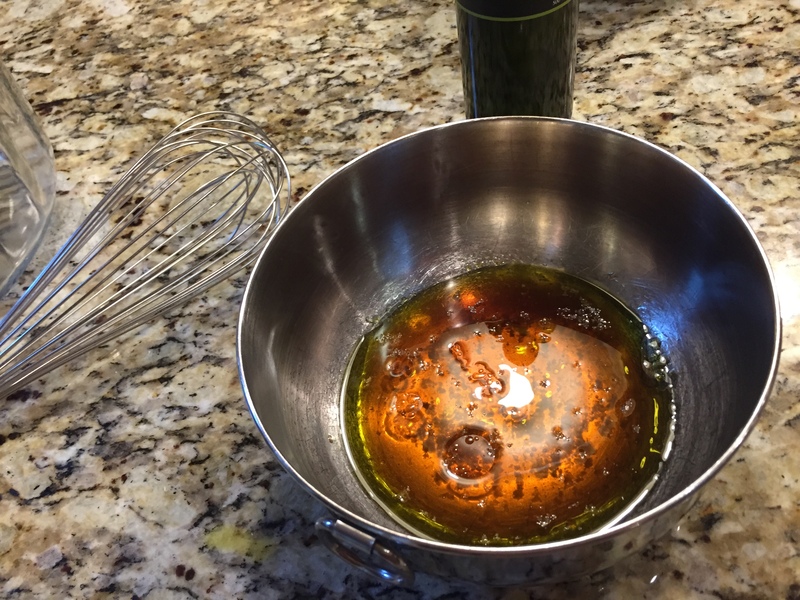 Whisk together olive oil, honey, rice vinegar, salt, and 1/4 cup balsamic vinegar in a bowl. 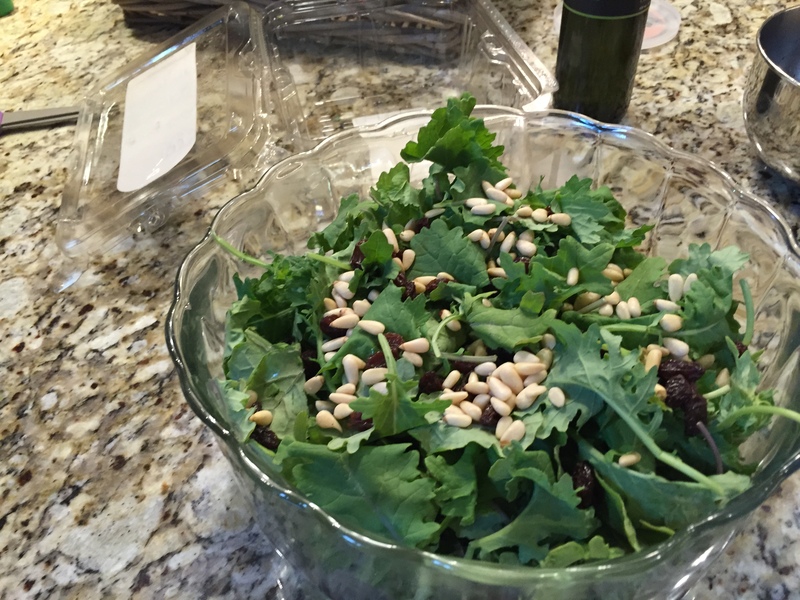 Place kale, raisins, and pine nuts in a large bowl. 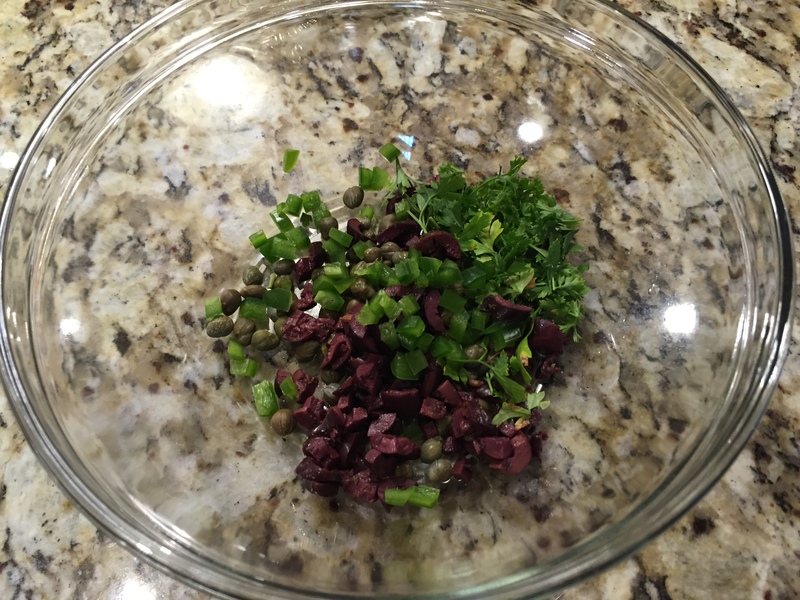 Add dressing, tossing to coat. Top with cheese to taste.